There are many ways to make your tax-deductible donation to MHARF! If you would like your donation designated for a certain horse, program, or case, please specify this in the “Memo” section of your check or the “Note” section of your online donation. If you are making a donation IN HONOR Of or IN MEMORY OF a person or an animal, we will be happy to send notification of the gift to the proper person/s if you would like to include their contact information (we can send notification either by email or by mail). Please also include whether you would like us to include the amount of the donation in the notification, and whether it is ok for us to list your donation on our website (we can also list it as “anonymous” if preferred). If you have any questions please feel free to Contact Us! Thank you! Looking for the opportunity to sponsor one or more horses at MHARF? Please visit our Sponsorship Page! The Minnesota Hooved Animal Rescue has earned a Gold Seal of Transparency from GuideStar. Click Here to see our GuideStar profile and to donate through Guidestar, the world’s largest source of information on non-profit organizations. 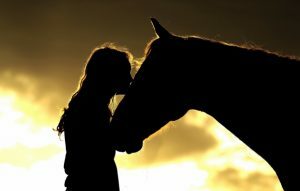 Do you wish you could help the horses of the Minnesota Hooved Animal Rescue? 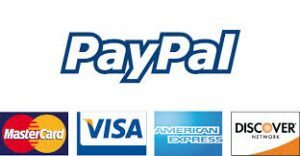 Well, now you can by sending donations through PayPal! The process is secure and managed entirely by PayPal. If you wish to designate the donation to a specific animal, case or program, please specify this in the “Note” section of your PayPal donation. Thank you! Donations can be made to MHARF by credit card through Network for Good! You can make a one time donation, or set up recurring monthly or annual donations through this secure site! If you wish to designate the donation to a specific animal, case or program, please specify this in the “Note” section of your Network for Good donation. Thank you! Please mail checks to: MHARF, PO Box 47 Zimmerman, MN 55398. If you wish to designate the donation to a specific animal, case or program, please specify this in the “Memo” section of your check. Thank you! AmazonSmile is a simple and automatic way for you to support MHARF. When you shop at Amazon through Amazon Smile, Amazon will donate a portion of the purchase price to us! The Minnesota Hooved Animal Rescue is now one of the charities listed on the GoodSearch.com Internet search website. Every time you use this website to search, money goes to the rescue. When you shop at Country Supply, you can help the Minnesota Hooved Animal Rescue. It’s easy! When you’re ready to check out, enter the Country-Care Code ‘mharf-alvin” in the field provided. MHARF also maintains a booth at the Gateway Antique Mall in Rogers, MN, and we are happy to accept donation of vintage or antique items for resale! Donation receipts will be provided for all donations! Thank You for Your Support on #Giving Tuesday 11.27.18! #Giving Tuesday is a global day of giving fueled by the power of social media and collaboration. Celebrated on the Tuesday following Thanksgiving (in the U.S.) and the widely recognized shopping events Black Friday and Cyber Monday, #Giving Tuesday kicks off the charitable season, when many focus on their holiday and end-of-year giving. Click Here to make your #Giving Tuesday Donation through PayPal. Click Here to make your #Giving Tuesday Donation through Facebook. If you would prefer to donate by check, please make payable to MHARF and note “Giving Tuesday” in the memo section. Checks can be mailed to MHARF, PO Box, 47, Zimmerman, MN 55398. All donations are tax deductible. Thank you for your support on Give to the Max Day! Click Here to Read About Our Campaign and to Donate!